CALL US TOLL FREE AT 1-866-864-2050. EnterpriseLead.com expands its staff by hiring new Chief of Operations to oversee growth and structure of the company. San Diego, CA (March 12, 2012) - EnterpriseLead.com, a web based software company that specialize in online Lead Management and is the number one Lead Training Platform, is proud to name Alex Capio as their new COO. Alex Capio brings over 10 years’ experience in the online marketing industry. 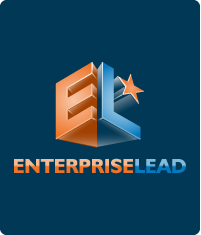 Alex will be heading all operations of the company, including new business development, growth of staff, developing the new EnterpriseLead.com website, along with marketing the launch of the anticipated EnterpriseLead2.0 Lead Management System. Alex is enthusiastic about his new position with Enterprise Lead, “I have worked with several lead management software companies and never seen anything like this one. I am honored and excited to work with the EnterpriseLead.com team.”In the past, Alex has worked on several political campaigns for both major parties, and nonprofit organizations.In his personal time Alex is currently writing his first book, as well as continuing to work with the foundation he began- The Foundation for the prevention of Childhood obesity, as he was onceover 700 pounds and lost 500 of them. He is a great inspiration to many.